Who is Mike Matusow? 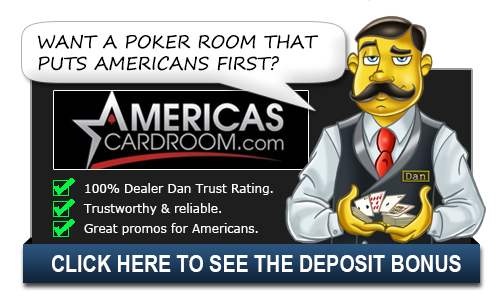 | Mike Matusow Bio - Casino Answers! Mike Matusow has not only made a name for himself with his poker success but also playing antics. He has been nicknamed “The Mouth” for his brash talk and questionable antics at the table. Matusow wasted no time jumping into the big leagues as his first cash was a big one at the 1997 WSOP: playing in a $2,000 Limit Omaha Hi/Lo tournament, Mike finished second to Scott Nguyen and won over $81,000 for the finish. The next year, Matusow decided to pay one-third of Scott Nguyen’s $10,000 buy-in to the Main Event. The investment paid off as Nguyen took first place and won $1 million, $333,333 of which went to Matusow for paying a third of the buy-in. In the 1999 WSOP, Mike won a $3,500 No-Limit Hold’em event which earned him over $265K and his first gold bracelet. Matusow would get another bracelet in the 2002 WSOP for winning a $5,000 Omaha Hi/Lo Split 8 or Better event and his most recent victory came in the 2008 WSOP where he won the $5,000 No-Limit Hold’em 2-7 Draw w/Rebuys tournament. Mike’s controversial personality has not been without its benefits. Matusow has been on numerous TV shows like High Stakes Poker and Poker After Dark. Perhaps his best known television appearance was on the WPT Bad Boys of Poker II show where he finished second to Tony G. Matusow also wrote an autobiography entitled “Check Raising the Devil” that was released May 12, 2009. These days, Mike plays online poker at Pokerstars and Full Tilt Poker in addition to his live tournament appearances. To this date, he has earned over $6.8 million dollars in tournament play. Mike Matusow was born in 1968 in Los Angeles, California. He was a very competitive person in his early life as he was a big player of bowling and pool. He got his start in poker working as a dealer at a casino which allowed him to learn and study the game more carefully. Early on he had to go to Gamblers Anonymous after he stole money from his mother’s purse. He entered a small tournament around this time and actually ending up winning it. A local rounder named Steve Samaroff helped to teach him Texas Hold’Em. He quickly earned “the mouth” nickname thanks to his never ending chatter at the table that is known to annoy his opponents. In addition to the “mouth”, Matusow is also know for his major blowups. after a bad beat or a big loss, Matusow has the propensity to lose it and start making bad decisions. The blowup is often known as going on tilt which is not something you would typically expect from a player of his ilk. Matsuow had an interesting life as he actually spent six months in jail on drug charges. He was offered a deal to wear a wire and catch the drug dealers, but he refused and served his time. Upon his release, he had to rebuild his life and his bankroll. A $500 loan from Phil Hellmuth got him started and he was soon back to his winning ways.